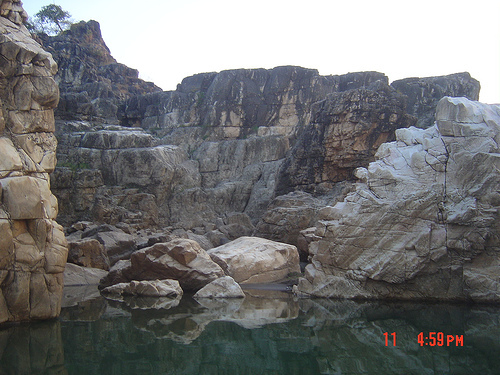 Bhedaghat is the most admired tourist spot near Jabalpur city. 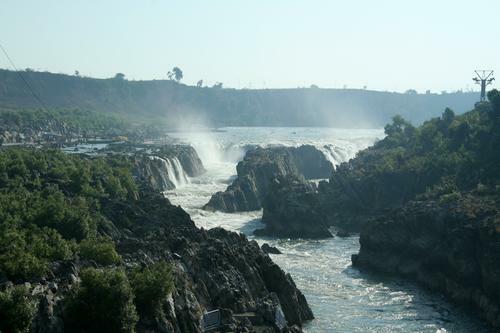 This wonder place is situated on the Jabalpur - Bhopal highway at a good distance of 23 km from the city. Visitors can easily reach there by road, taxi and civic transport which are accessible from Jabalpur to Bhedaghat. Attraction places of Bhedaghat: This place is also known as Bheraghat which is must seeing tourist destination of Jabalpur. People from different nations are reaching there to enjoy the natural beauty and scenery. The historical place is named on Bhairav Ghat. Boating and watching white marble hills of this place are top spots. 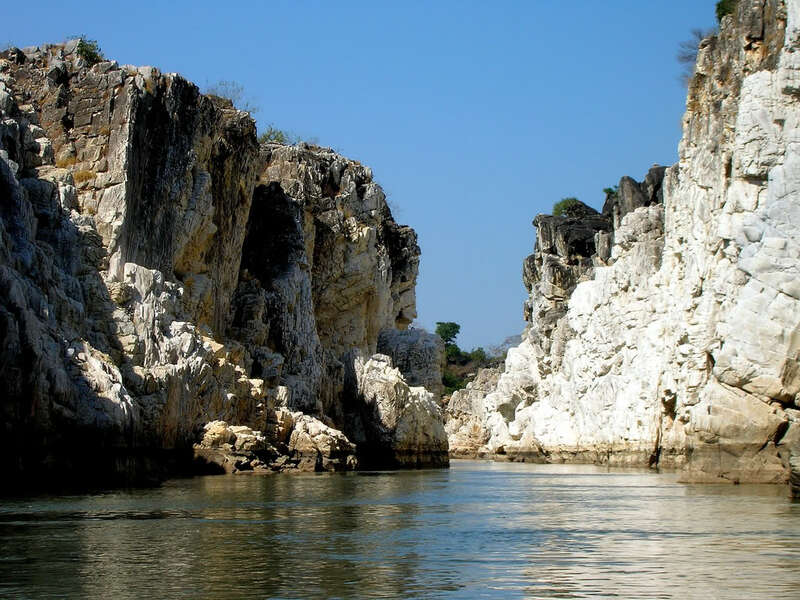 Usually this place is initial choice of tourists for vacation and doing boating in river between erected marble rocks is different experience. Rocks of marble in Bheraghat are available of numerous colours like pink, white, blue and some more. Though rocks of Marble are their in Bhedaghat, but its exclusion is not allowed in that area. However, visitors will get the small pieces of marble from the market at very cheap price. Plenty of movies of Bollywood have been shot in Bhedaghat like Ashoka (actor Shahrukh Khan), Jis Desh Mein Ganga Behte Hai and many others. Visitors should visit Chousat Yogini Temple & Dhuandhar in Bhedaghat. The ropeway ride in Bhedaghat is special feature through which visitors can view the Dhuandhar fall from very close. The timings for ropeway are between 10:30 to 18:30 everyday and its charges are Rs. 55 per person. Boating in Bhedaghat is also best experience of life. Hotels form MP Tourism and many other private centers are easily available for accommodation. One thing to remember is people cannot enjoy the boating feature in monsoon season because of increased level of water. Visiting this place in July, August, and September is not good time. However, people can enjoy the sightseeing which takes 2 to 3 hours. It include Chousat Yogini temple and Dhuandhar falls view and visit. Swimming at such place can be dangerous as the water flow speed is higher of the river. Misjudged water level and flow of the river can cause the accident as some people badly hurt and lost their life in past few years. Swimming in Narmada River is dangerous as there are number of whirlpool which can be a problem for perfect swimmer as well. Chausath Yogini Temples: the ample of yogini temples are situated at 1 km distant from Bhedaghat. These temples are constructed by Kalchuri Kings and stone used to construct the temples are red. These temples are 4 to 5 Meters high. Central shrine dedicated to lord Shiva is main temple to visit as yogini is not worshiped. The period of temples construction is 10th Century. The beautiful sculptures are situated at the nearby sites of Bhedaghat. This must watch spot amazing and could be different experience of life. The famous among all sculptures are Lord Shiva & Goddess Parvati riding on Nandi ox. The chief temple is circulated with approximately 95 yogini sculptures but unhappily most of them are spoiled by Muslim military in past.